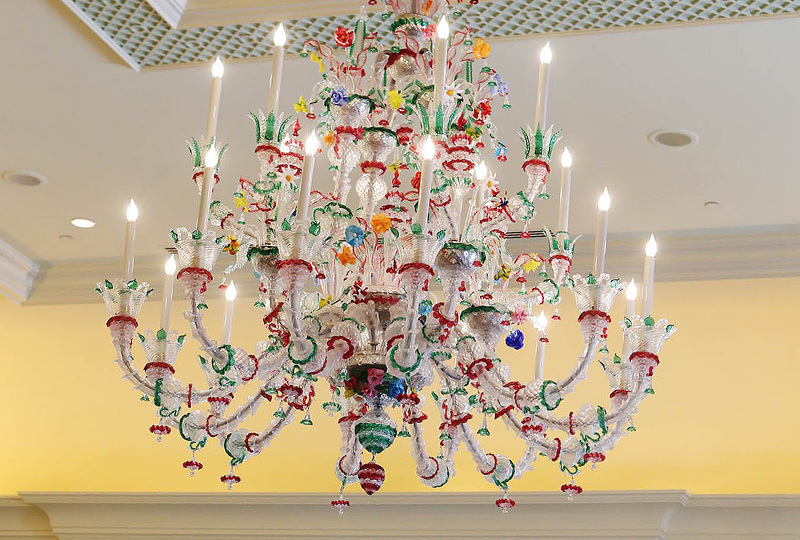 More than a mere hotel, The Grand America is an experience all its own. Luxury convention facilities and gracious accommodations make both workdays and downtime unforgettable. All rooms and suites in our 24-story hotel feature handcrafted Richelieu furniture, original works of art, inviting balconies, complimentary wi-fi, and large Italian marble bathrooms. Floor-to-ceiling windows showcase breathtaking views of Salt Lake City or our beautifully landscaped gardens. 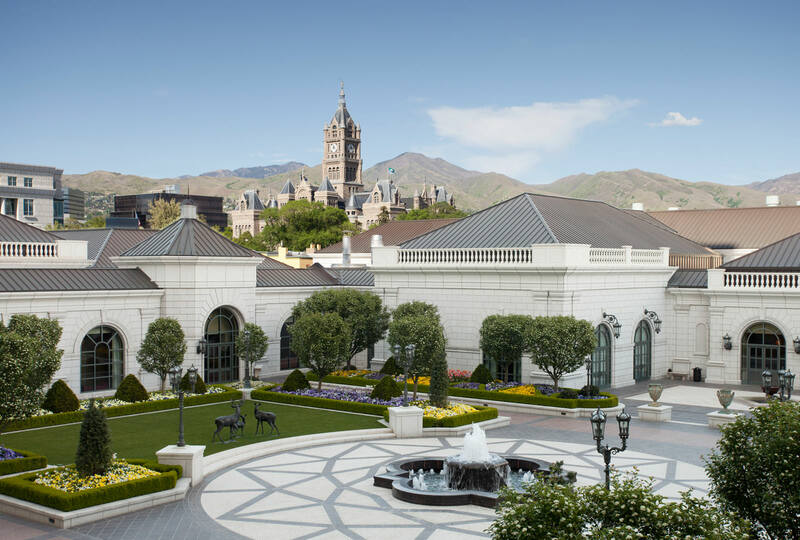 Salt Lake International Airport is eight minutes from The Grand America, located on ten acres in the heart of downtown Salt Lake City, within walking distance of shopping, restaurants, light rail, nightlife, and sporting events. All of Utah’s major ski resorts are less than an hour’s drive from the hotel. Recreational opportunities abound nearby in the magnificent national forests and state parks, several of which are accessible from the hotel in 40 minutes or less. Yes, convenience and charm are Salt Lake City’s secret weapons. 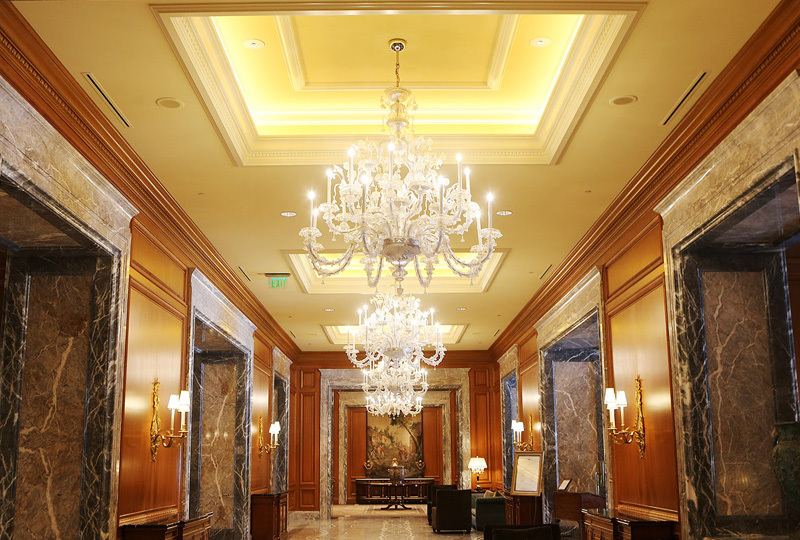 Attendees rave about the rooms and amenities at The Grand America. You’ll find our stunning facilities are incredibly meeting-friendly, able to accommodate corporate functions of every size and purpose. The Grand America Catering and Convention Services team will help you realize your vision— from boardroom forums to full-scale conventions—through our versatile banquet spaces and effortless event flow. We delight in covering the details, including meeting transitions, outstanding technology support, and exceptional food services. The Grand America has implemented a variety of environmental procedures and green initiatives to increase the sustainability of our operations→. Currently, the hotel is saving 2.6 million kilowatt-hours of energy a year, thanks to a recently-completed lighting project. 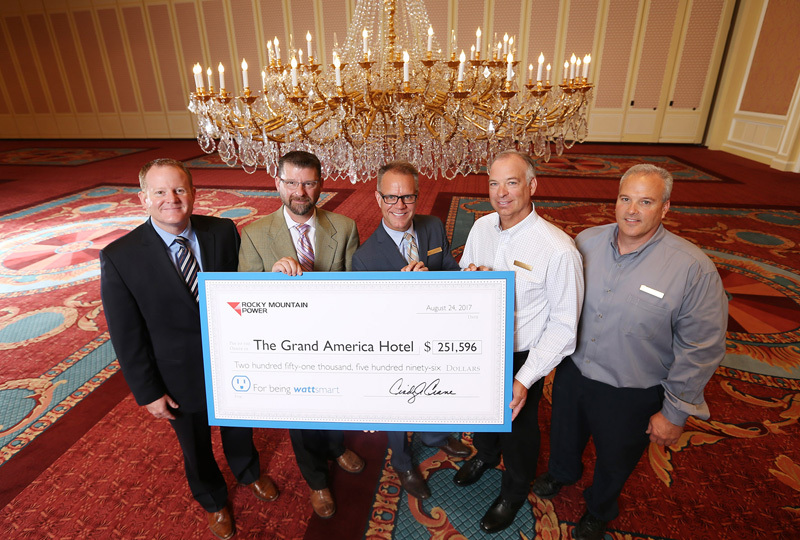 For more than a decade The Grand America has been partners with Rocky Mountain Power’s wattsmart Business Program, which offers technical expertise and cash incentives for improving the energy efficiency of businesses. The partnership has helped the hotel to become approximately 90 percent LED. Self-parking and valet parking are available. Underground parking is offered for self-parking; accessible from both the Main Street and 600 South Street entrances. A coupon or credit card is required to exit the parking garage, no cash accepted at the gate. Standard check-in is at 3 pm. Standard check-out is at 12 pm noon. If you arrive before 3 pm and your room is not available, you can store your luggage at the bell desk. Cancellations for a hotel room or suite reservation must be received 24 hours (48 hours for Presidential Suites) before the expected day of arrival and may differ by arrival date and room type. If cancellation of a guaranteed reservation is not received by the required date, the hotel will charge for one night’s accommodation. For details of cancellation policies and deposit requirements, please check at the time of booking. Please note that the credit card used to reserve your guestroom is for guarantee only. To use this card as payment, it must be presented in person upon arrival. Do you have cribs or roll-away beds? We offer cribs as part of our Families First program. Please request a crib with the reservation agent during the booking process. We do not offer rollaway beds. Yes. There is transportation available via taxi cab to and from Salt Lake City International Airport which takes approximately 7 miles or 10 minutes. 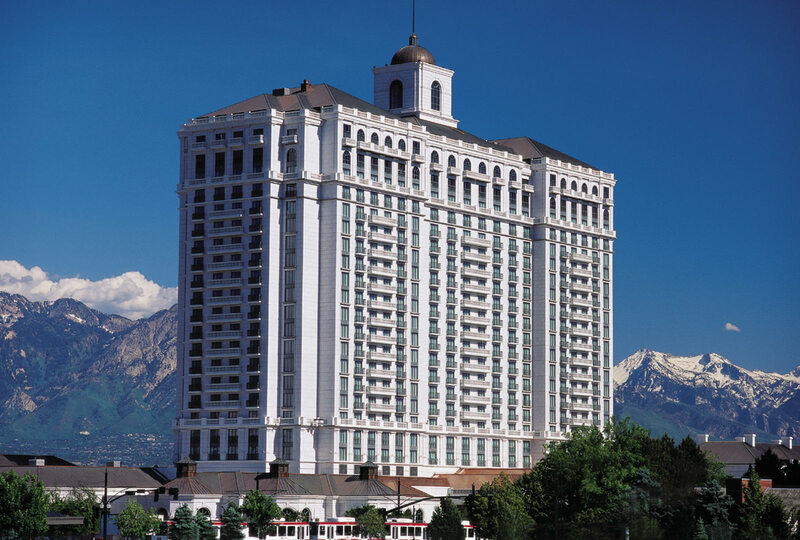 Please contact the Concierge at (801) 258-6703 if you would like to reserve a transfer. A hoverboard could injure the operator and/or other guests. For the safety of all guests, we do not allow hoverboards at The Grand America Hotel. A personal drone flying near or above The Grand America Hotel could potentially violate the privacy and safety of our guests. We do not allow drones to be flown near or above the hotel. What is the minimum age to book a reservation? Guests must be 21 years or older with photo identification to check-in. Please contact the hotel for further information. Only service animals are allowed, and additional deposits may apply. If I have questions about my bill, who can I contact? Please direct all questions to our accounting department by calling (801) 596-5710. For the safety and security of our guests, large group photos of student or business groups require hotel permission and are by appointment only. Please contact our Catering Office at (801) 258-6770 for price and availability.